'Deadly Monopolies'? Patenting The Human Body In a new book, medical ethicist Harriet Washington details how genes and tissues are increasingly being patented by pharmaceutical and biotechnology companies. Those firms, she argues, are focused more on their profits than on the medical needs of patients. In 1980, the Supreme Court ruled that living, human-made microorganisms could be patented by their developers. The ruling opened the gateway for cells, tissues, genetically modified plants and animals, and genes to be patented. In the past 30 years, more than 40,000 patents have been granted on genes alone, says medical ethicist Harriet Washington. 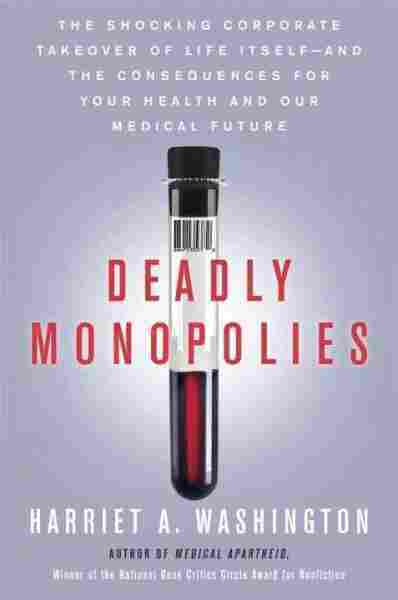 In her new book, Deadly Monopolies, Washington details how our tissues and genes are increasingly being patented by pharmaceutical and biotechnology companies. Those firms, she argues, are focused more on their profits than on the medical needs of patients. Restrictive patents on genes prevent competition that can keep the medical cost of treatment down, says Washington. In addition to genes, she also points to tissue samples, which are also being patented — sometimes without patients' detailed knowledge and consent. Washington details one landmark case in California in which medically valuable tissue samples from a patient's spleen were patented by a physician overseeing his treatment for hairy-cell leukemia. The physician then established a laboratory to determine whether tissue samples could be used to create various drugs without informing the patient. "[The patient] was told that he had to come to [the physician's] lab for tests ... in the name of vigilance to treat his cancer and keep him healthy," says Washington. The patient, a man named John Moore, was never told that his discarded body parts could be used in other ways. He sued his doctor and the University of California, where the procedure took place, for lying to him about his tissue — and because he did not want to be the subject of a patent. The case went all the way to the California Supreme Court, where Moore lost. In the decision, the court noted that Moore had no right to any share of the profits obtained from anything developed from his discarded body parts. "If they're his cells and medically viable agents are being derived from his body, it seems intuitive to me that he should be the one to decide what's done with it," says Washington. "I think we can't forget that money is not the only question here. Money is important for the corporations ... Money may be less important to [the patient] than his bodily integrity and about his rights to informed consent and his rights of autonomy to choose what should be done with his body." Another patient, a hemophiliac, was told by his doctor that his blood contained highly concentrated amounts of antibodies that could be highly valuable for other patients. He started a company to market his blood. But he also gave his blood away for free to other companies and noncommercial researchers. Washington writes that the patient "rewrote the rulebook" by understanding that "donating and selling tissues are not mutually exclusive." Before the 1980s, it was rare for university researchers to obtain patents on their products, says Washington. She points to Jonas Salk, who developed the polio vaccine. "Edward R. Murrow said to [Salk]: 'This vaccine is going to be in great demand. Everyone's going to want it. It's potentially very lucrative. Who holds the patent?' And Salk said, 'The American people, I guess. Could you patent the sun?' This was the norm," she says. But since the 1980s, researchers at universities and the pharmaceutical industry have become collaborators in ways that they weren't before, says Washington. The 1980 Bayh-Dole Act gave universities and small businesses control of their intellectual property — which allowed them to sell their patents. "Before the 1980s ... most researchers worked within a university culture which encouraged free discourse without necessarily a potential product in mind," she says. "It encouraged collaboration and data-sharing, and the values held by medical researchers were values of academic excellence, medical achievement, altruism ... these were the motivations. Now that the patent is based upon the value of exclusivity, the corporation discouraged very strongly and prohibited data sharing. ... This culture of the corporation has overtaken the medical research culture." 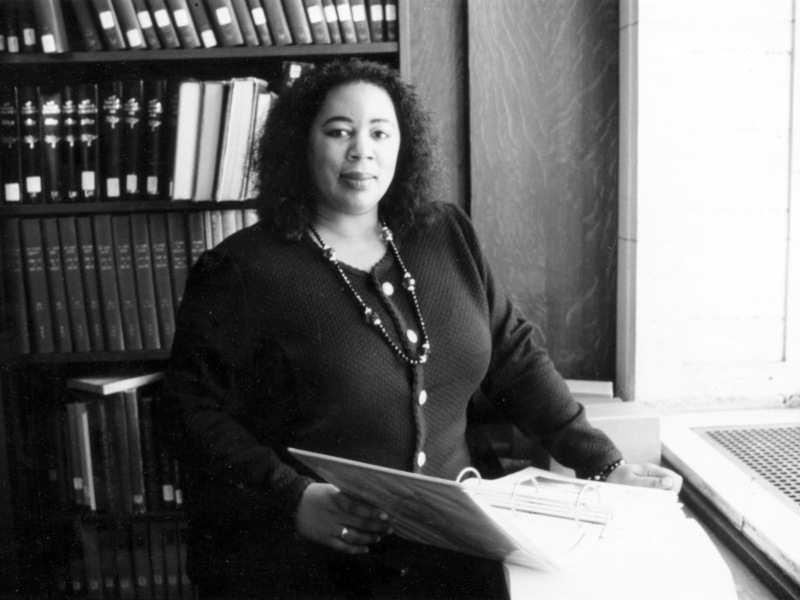 Harriet Washington is also the author of Medical Apartheid: The Dark History of Medical Experimentation on Black Americans from Colonial Times to the Present. Universities get money and support from the pharmaceutical companies for their research efforts. In turn, a pharmaceutical company can potentially buy or license a patent for a molecule or gene from the researcher — which is even more lucrative, says Washington. "Once they have done that, they will hopefully emerge with a medicine," says Washington. "Now they can decide what to charge for it. And in this country they can charge anything they like." She notes that the relationship between universities and pharmaceutical companies is different now than it was in the past. "Very often, medical researchers would not sell a patent. [They] would hold the patent on the medicine — not sell it to anybody — which means that it could still be manufactured and sold by corporations, but they had no exclusivity," she says. "[The pharmaceutical companies] could not charge this astronomical price, because customers could simply go elsewhere for it." Washington is also the author of Medical Apartheid, which received the National Book Critics Circle Award. She has been a fellow in medical ethics at Harvard Medical School, a senior research scholar at the National Center for Bioethics at Tuskegee University and a fellow at the Harvard School of Public Health.